It began with a soft launch, very few people were paying attention. My wife and I were taking our usual walk at the local park near our house a week ago, noticing an abnormal amount of nerds looking at their phones while walking. These were not the normal tennis-shoe-wearing, Under-Armour-sporting joggers. We couldn’t figure out what they were doing. And now, not only do we know, the whole world knows. PokemonGo has taken the app store by storm. And since then, most of the world has been wondering, How is it that this mobile app has passed all other apps in amount of engagement and been the number one downloaded app this week? There are so many interesting things to discuss, but first let’s talk about how to take advantage in the short-term at a financial institution. Market it. As is the case with any trend, Pokemon provides the short-term opportunity of showing your relevance. You understand that as you market to a mobile-relevant audience, they are playing Pokemon. 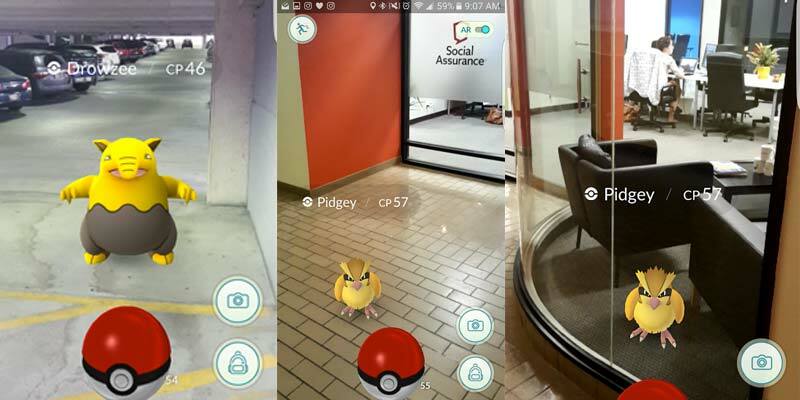 Show which “rare” Pokemons are near your location (if you don’t know, look for that employee who is watching their phone as they walk to the car, and ask him/her). There are plenty of ways to parallel your financial institution to what is happening in this augmented reality. Also, branded merchandise is easy to come buy and can help inspire the enthusiasm. You’ve created a “millennial committee” to understand how to market to them, you don’t have to schedule a meeting two weeks out to ask them, go to their desk today and offer to buy them a handful of lures and watch what happens. Drive Traffic. Yes, you can alter traffic by understanding how the game works. Quite literally, you can “lure” traffic to locations. Once in the game you can “shop” for lures or incense, both can allow you to draw Pokemons which in-turn draw people to that location. 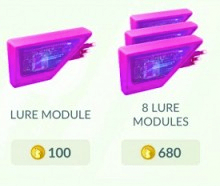 One pizzeria claims about 30 people for each $1.19 spent on lures. Offers. If you want to meet influencers, incentivize them to meet you. Offer the first 10 people with over 100 Pokemons a free gift card or SWAG (stuff we all get) that is Pokemon branded. Surely you have a location near a “gym” those locations where Pokemon collectors can go battle each other (and meet and talk about the characters and their enthusiasm for the game). Grab the millennial off your team who has enough characters to play at the gym and have a visit (you need to be a level 5 to visit the gym, it took yours-truly a couple days to get there and a few thousand steps on my fitness tracker). Customers are not Virtual. I get it, management says, “This app doesn’t make sense, why would we focus on virtual characters?” If you need their buy-in to participate, show them, this is about traffic and engagement. This is no different than deciding to play golf with a prospect, it just happens to hit a lot more of the population than play golf each year. Early Bird Gets the Worm. Pokemon Go has existed for one week now, surpassing engagement numbers of all other mobile apps. What does this mean for the future of this app and others? It means that it is easier than ever to get traction and as always, the cost for advertising goes up as market conditions take over. Simply put, if it costs $1.19 to drive 30 people to your location today, that number is likely to move to $40 over time. For those lucky-enough to experience the traffic that Google Adwords generated in its early days, you recognized this as more brands realized the value and placed their own ad-buys. So whether you are chatting in the break-room or designing your next customer event and wondering how to brand it better, more financial institutions are turning to virtual means to drive traffic. We’d love to help you create your next virtual traffic strategy, drop us a note.